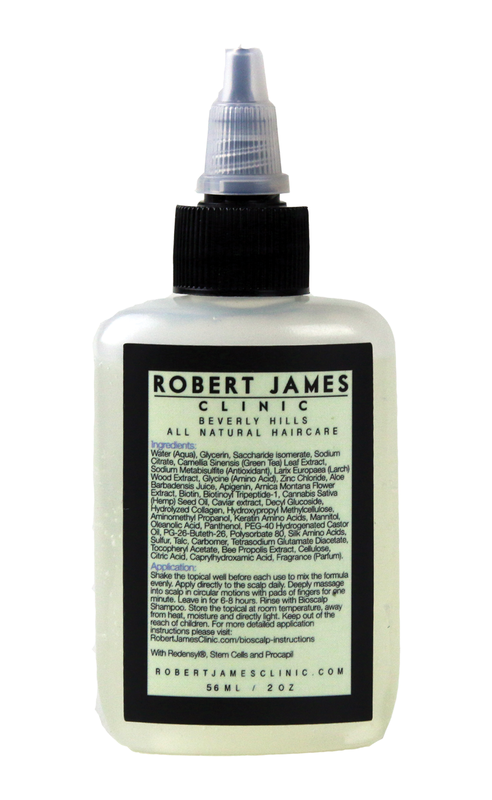 Stem Cell Scalp Topical Formula by Robert James Clinic. Our custom Stem Cell Topical Formula are clinically proven to inhibit future hair loss, decrease bacteria and fungus, and significantly increase cell regeneration, hair density and thickness. Redensyl is simply put a hair growth galvanizer. It targets stem cells and human fibroblasts from the dermal papilla to improve hair growth while reducing hair loss. Visible results are seen after 3 months of daily use. Redensyl has been hailed as the hair growth galvanizer. This Silver recipient of the Innovation Zone Best Ingredient Award 2014, has revolutionized the hair care industry approach to hair loss. Hair stem cells play a crucial role in creating hair growth on the scalp. When hair stem cells become dormant, hair loss occurs. 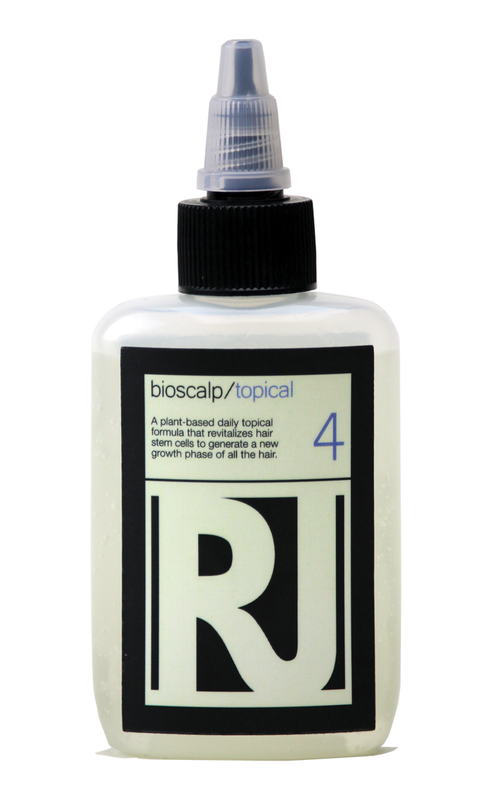 Redensyl revitalizes hair stem cells to generate a new growth phase of all the hair. In other words, it acts as a molecular “switch” to turn on hair growth. Resulting after 3 years of fundamental research, Redensyl is a unique ingredient with two exclusive patented molecules that have undergone 3 years of extensive fundamental research. Inspired from regenerative medicine, Redensyl has an effective delivery method to soothe the scalp, awaken hair stem cells, and nourish the scalp to provide the most favorable environment for hair growth. Clinical testing results have demonstrated that Redensyl increases hair growth by +214% compared to untreated, and provides two times better results than Minoxidil. During an in vivo double blind study on men, drastic visible results were seen after only 84 days with those using Redensyl. On average, volunteers saw a 10.8% increase of new anagen hair, 17% density of hair increase, and over 28,200 new hairs on the scalp. Compared to pricey hair transplant procedures, Redensyl users experience greater results. On average, one hair transplantation session is 8,064 new hairs. Up to three hair graft sessions to get to the appropriate density, however most patients undergo a single transplantation due to financial reasons. Redensyl gives an average of 10,000 new hairs in less than three months with up to 28,200. Women also will benefit with these same results making it a perfect unisex ingredient! Pharmaceutical level purity and proven 100% safe. This silver award-winning ingredient is a new, exciting innovation that is bound to impact the hair care industry for years to come!